Play out babysitting stories with these Barbie's that come with themed babysitting supplies. 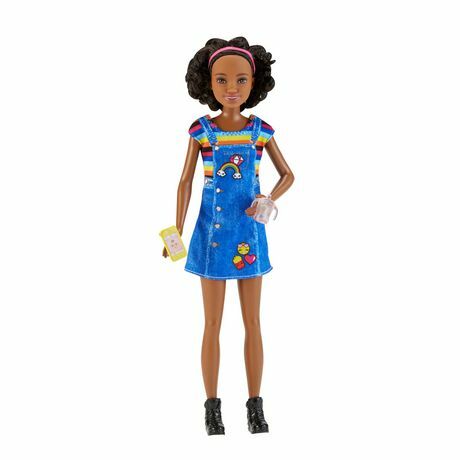 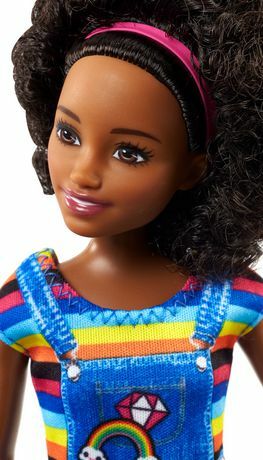 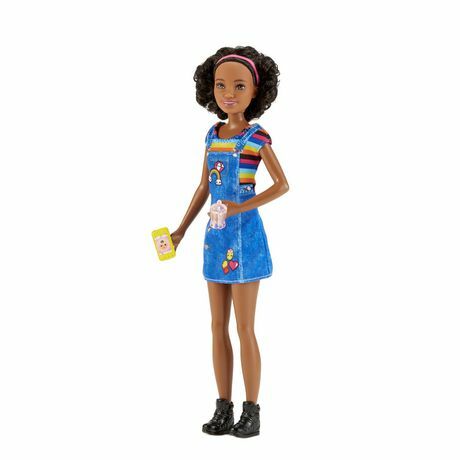 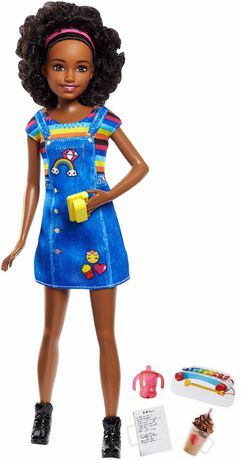 Choose from dolls with different looks and different accessories. 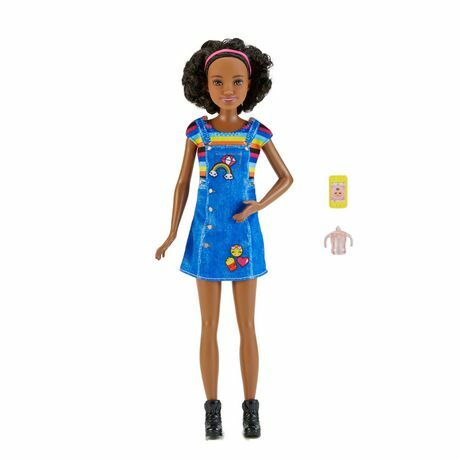 Each doll wears a casual outfit with a matching pair of shoes and comes with five additional pieces. 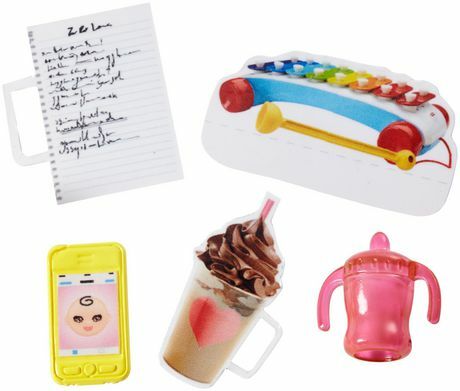 Accessories include items like a bottle, cell phone and list, plus a unique food piece (like a pizza, ice cream sundae, coffee drink, bowl of popcorn or bag of pretzels) and a popular child's toy (like a xylophone, telephone or stackable rings).